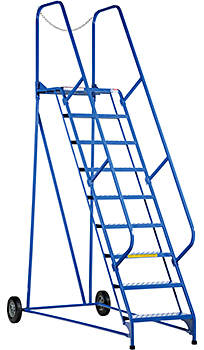 Vestil LAD-MM Rolling Maintenance Ladders models LAD-MM-5-P through LAD-MM-12-P are a cost effective industrial ladder solution for warehouse, factory, office, and retail store applications. 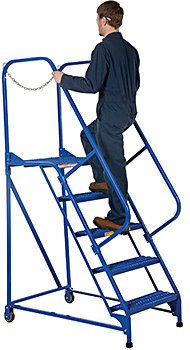 Simply tilt and roll ladder to where it is needed. 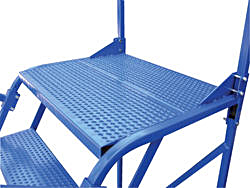 Rolling Maintenance Ladders feature perforated steps, a 30"H removable hand rail, a 21" deep top step, and a safety access chain. 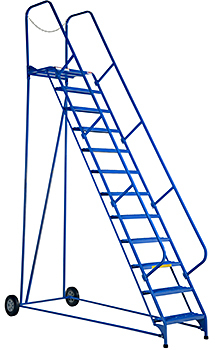 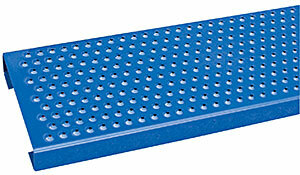 Vestil LAD-MM ladders are all steel construction with durable blue powder coat finish. 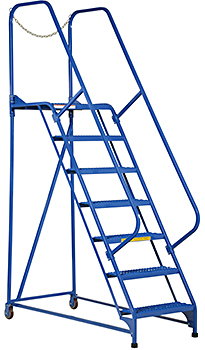 Ladders ship broken down and require simple assembly.